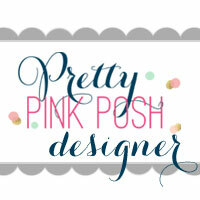 I am guest designing for Penguin Palace, a newer stamp company with tons of cute stamps and dies. I have no resistance to everything cute and fun. Hope you all like this card and don’t hesitate to check out their online shop. To start with my card, I ink blended a piece of A2 sized watercolor paper using Tim Holtz Distress oxide ink in Worn Lipstick and Candied apple. 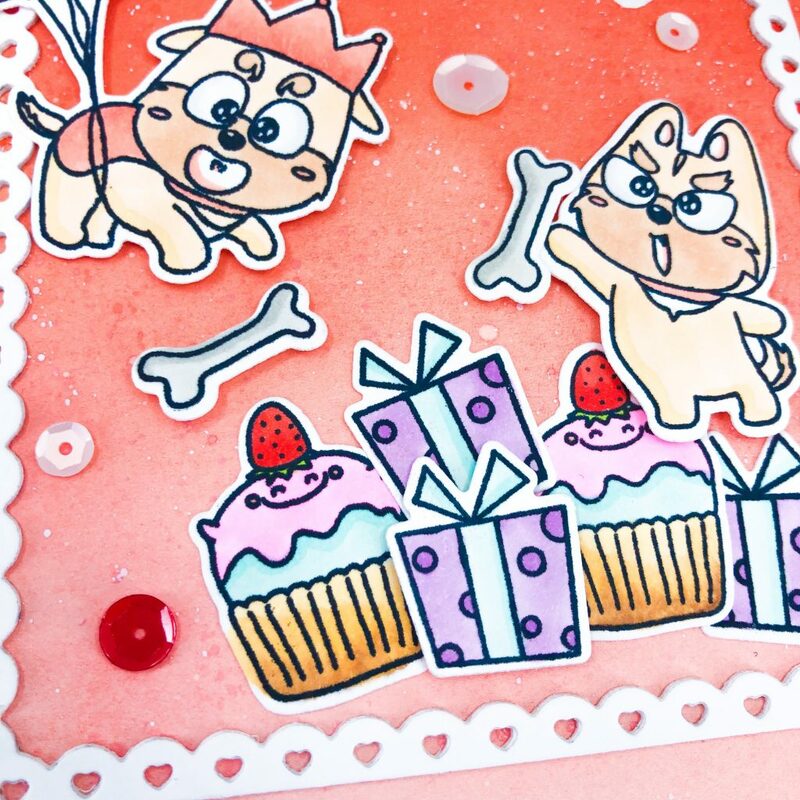 To create better result of my color gradient, I also added Distress ink in Candied apple to the top of card. I splattered water and white paint over my inked background to create some textures. I die cut a white frame using one of dies from Fancy Hearts Scalloped Borders and Dynamite Explosion Border set or 3 times and stacked them together with craft glue. Once that’s done, I added this frame to the center of my background and set aside. 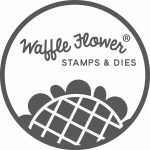 I colored images from My Best Pal stamp set and die cut with coordinating dies. Then I colored them with copic markers. I tried to keep my main selected colors in Red, brown, blue and purple. 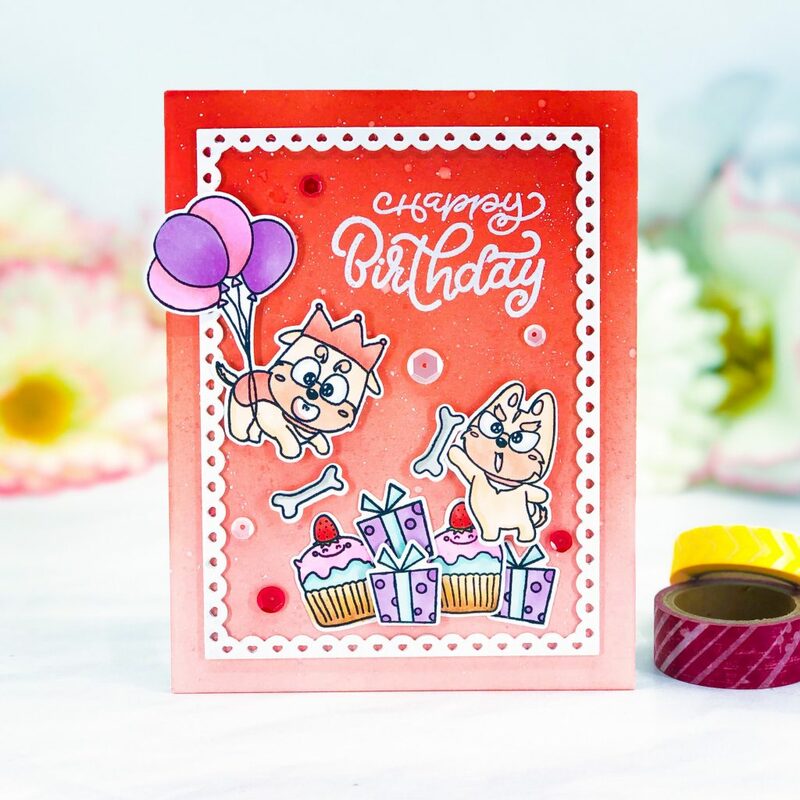 I adhered my colored images onto the background using Multi medium matte and foam squares and heat embossed the sentiment ” Happy Birthday ” with white embossing powder. I finally embellished my card with different sizes of white and red sequins. 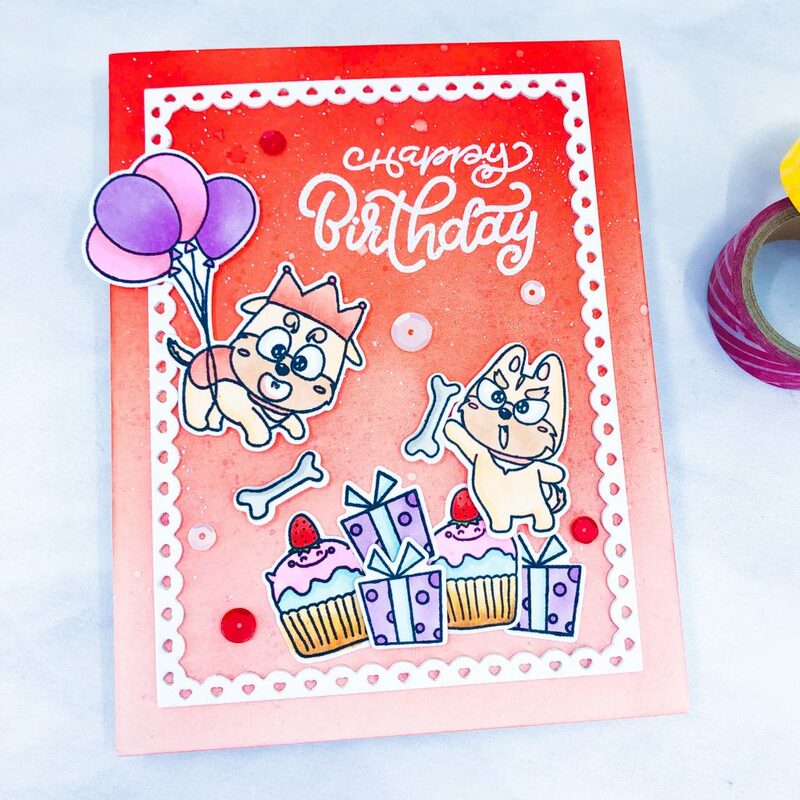 I hope you like the products that I used for making this card and have a good inspiration day! This entry was posted in Cards and tagged Penguin Palace. Beautiful and cute card done by a cute person like you.Love and hugs from Sri Lanka.